Selecting a favorite tea room is difficult, as each one has it's own unique and interesting traits. 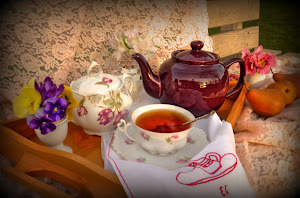 I'd like to take a walk down memory lane, sharing thoughts on several of the tea rooms that I think are most delightful! 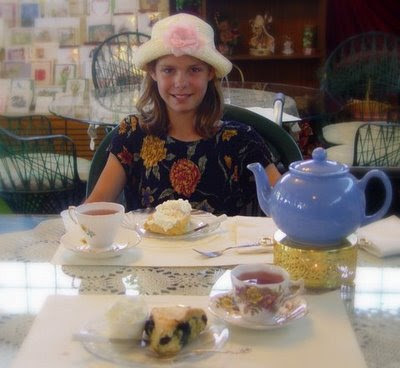 My first tea room experience started several years ago when both my sons were small. There was a small tea room in the town where Grandma lived, and we enjoyed visiting there and having afternoon tea with her. After Grandma retired from teaching, she worked there during lunch hours, helping serve lunch and afternoon tea. The boys enjoyed the afternoon teas because the food was delicious --- but I told them it was so they could learn good manners in case they ever had the opportunity to be invited to have a meal with the President or the Queen of England. They thought I was funny, but obliged me and learned their manners anyway. BJ's Cottage was a lovely little tea room (shown above) and although now closed, was instrumental in developing my love for afternoon tea. Another favorite tea room is LaTeaDa Tea Room. Not mine (LaTeaDah. . .a different spelling with a story behind the name) it is a tea room which I was only able to visit recently. Every other time I have tried to have tea there --- it was closed or had no reservations available. This tea room is owned and operated by best friends who are married to dairy farmers. They wished for a place to bake and cook and serve their fresh and delicious milks and cheeses, so opened a tea room that is pure perfection! Every detail remembered, service is well-done and their emphasis on excellence is evident. I can only describe tea there as 'perfection'. In addition to their tea room, they have an extensive gift shop with many lovely gifts and china. Nestled along the shore by a busy harbor in the Puget Sound, Twigs tea room is a fine example of fine English casual-style. A well-equipped and cozy kitchen is set right off the tea room where all that happens there can be viewed if desired. Delicious pasties and cakes and scones and cookies are prepared in this comfortable, windowed kitchen. The dining room is surrounded by windows that open right off to the shore and yachts, sailboats, and ferries can be observed while sipping on tea and eating delectable treats. Each table is set with a different colored and patterned linen. . .and the eclectic and mis-matched china add charm to the ambiance of this lovely place. By the way, Twigs is actually called Dame Agatha Twigs Tea Room. 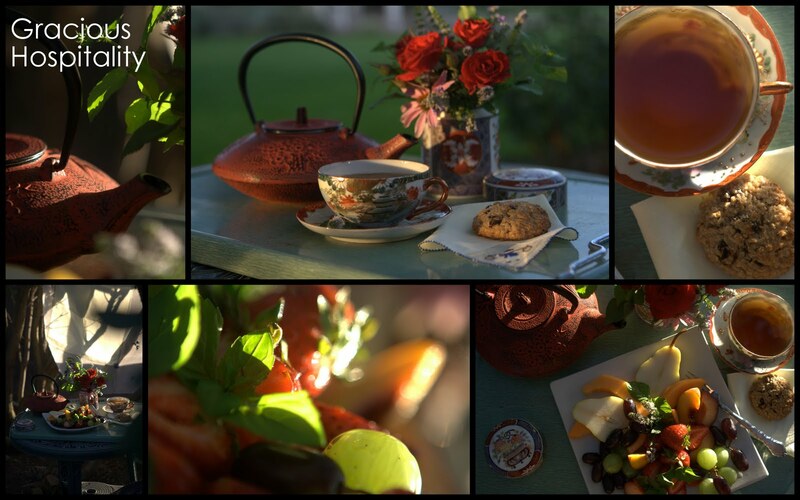 Tea at the Painter's Cottage is a cozy affair. Beautifully color-coordinated rooms are packed with beautifully appointed tables and many pieces of porcelain and china for sale. Jars of loose teas are displayed and tea can be purchased by the ounce or bag. Other rooms are set up with displays of gifts items for sale: a children's clothing boutique, jewelery, fancy women's wear, stationary, cards, and home decor items. The food is always delicious at the Painter's Cottage! A professional chef owns the shop and willingly prepares tea foods not only for her themed teas, but accommodates those with special dietary needs with yummy alternatives that she makes specially upon request. Anna's Tea Room fills a cozy Victorian house on a quiet street. 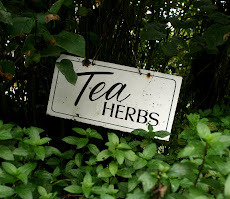 Fresh lavender blooms along the sidewalk entrance and a quaint sign greets guests as they come for tea. Open even on Sunday's, this tea room offers a quiet comfort with a variety of seating options. Tables or low sofas and chair provide choices for seating. 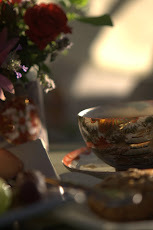 Fine china, vintage teacups, beautiful linens, and delicious food are all available here. Tea is properly decanted here, making the tea experience most enjoyable. Tea books and small gifts are available for sale and are set around the tea room. The Victorian Garden is a small and cheerful tea room, filled with beautiful art and much lovely china. Glass toppers are placed over beautiful tablecloths and English-style notecards and pictures are placed under the glass for interest and viewing enjoyment. Very dainty sandwiches, scones, and desserts fill the three-tiered tray and delicious soups or salads are available as well. Loose tea is placed in teapots that are brought to the table and guests are each equipped with a tea strainer so they can decant their own cups of tea. In another coastal town, Lovejoy's brings charming English perfection to the tea table. Wait staff who are interested in their customers and in educating them of the charms of tea are appreciated. Delicious foods are served, but when I think of this tea room, I think especially of their wonderful tea selections and the perfection they offer in tea service. 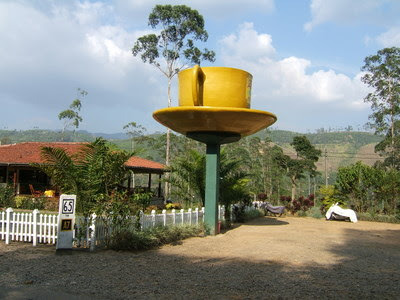 The last tea room I mention today is not one I've been to, but one that my sister visited last year in Sri Lanka. After a lovely day visiting tea plantations high in the mountains, she found The Tea Cup along the road and was kind enough to stop and take a picture for me. With wide veranda's, one can sit and view the tropical foliage or distant plantations while they sip on a cup of tea that is as fresh as they come. How I wish I could have joined sis in sipping a cuppa tea there! 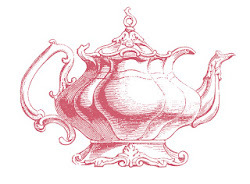 What wonderful tea room experiences you have had! I really need to find more tea rooms to go to. The ones you focused were all beautiful and charming in their own way. I loved your post. Thank you so much for sharing. I'm going to have to hop on a ferry this summer and visit Twigs. Maybe I could get my friend who lives on Hood Canal to join me. All of these tea rooms look wonderful. I love the lavender outside Anna's. How fun that there is a tea room called LaTeada! Your descriptions are great! This is one of the most fascinating posts I've read so far in this Blogathon, La tea dah! Such lovely stories with equally lovely photographs...made me want to drive around Melbourne's suburbs and visit all the gorgeous tea rooms I've heard about, but not been to. Hmmm...you've encouraged me to set a goal. Now to line up my friends to go with. That won't be a problem - we are all tea lovers! I really enjoyed this post, but was frustrated that you didn't mention where each tea room is located. 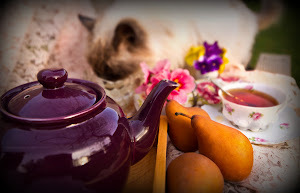 Thank you for your photo journey of the tea rooms. They all look lovely. I was especially drawn to Anna's with the lavender and neat sign. All of these places look so inviting and cozy! The on Puget Sound would be just my cup of tea ~ sipping by the waterside! Thank you for sharing all these lovely tea rooms! Lovely photos. Our small town had a tea room that I greatly miss after it closed its doors a few years ago. I feel like I've just been on a tour of the finest tea rooms. What fun! I enjoyed reading about your tearoom visits almost as much as visiting them myself! I did not realize how fortunate I am to have been able to visit so many varied tearooms until I read the posts of several in the blog-a-thon who have not been to a tearoom. 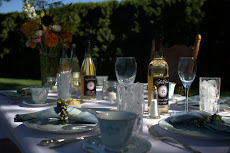 I just posted on my blog how I "file" my tearoom memories. Aren't tearooms fun? Such girly-girl places to have lunch, I've enjoyed my visits too. such wonderful memories to treasure and you shared them with us, thank you so much! looks so fun. lovely photos. wanted to invite you by my blog where I have a drawing going on. I've enjoyed this blog-a-thon, even though I've not contributed. 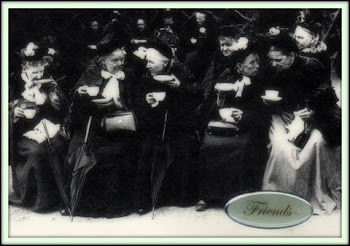 This post made me think of several tea rooms I've visited, but all before digital cameras, or blogs. It was nice to be reminded, though. Thanks! I just found this site and I love it. My life is full of stress and I am on a short tether at present but things like this make a hand hold to keep me hanging on. 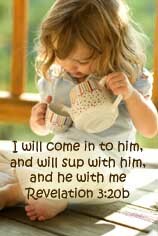 A cuppa and a prayer are my dailies that bolster me! Bless you! Oh boy! I tried commenting on your blog two other times before now since I started blogging again and finally made it. I realized that I simply had to wait till most of or all your photos were downloaded, I think, before the Blogger comment page would load. I was about to send you an email but couldn't do that either cause I couldn't find it on here. Anyway La Donna, it has been way too long since I have been here and I am happy to be back. I really missed getting sweet and thoughtful comments from you over at my blog. So be sure to come visit me again! I loved reading your post! So many tea rooms you have visited and every one is different. The pictures were beautiful--makes me want to visit them all! What a lovely tour of beautiful tea rooms. We have only one here where I live. The decor is charming but they don't know how to make a nice HOT cup of tea! So I seldom go there. I have enjoyed reading all the blogs that have participated in your blog-a-thons. 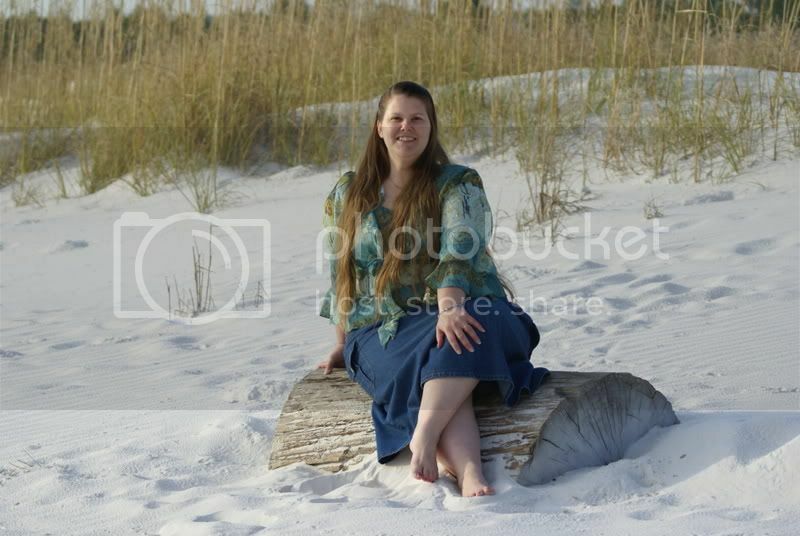 I am going to get some phots together and add my name to the list this week hopefully. All of the tea posts have been wonderful. I always enjoy hearing about the tea rooms you visit. I almost feel like I got to take tea at them also. What wonderful experiences you have had. Thank you for sharing them. My friends will also enjoy reading this.